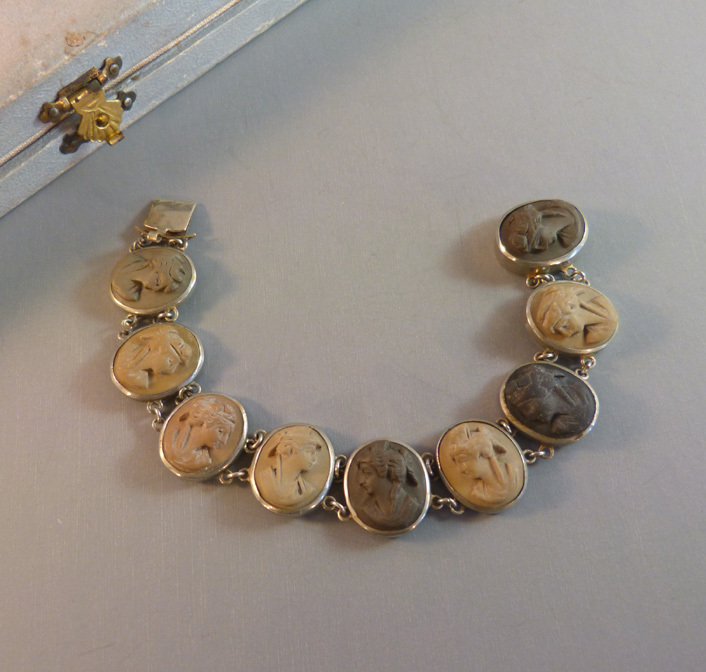 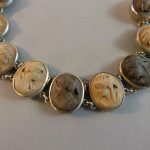 ITALIAN lava cameo bracelet with 9 links, each with a hand carved cameo on it. 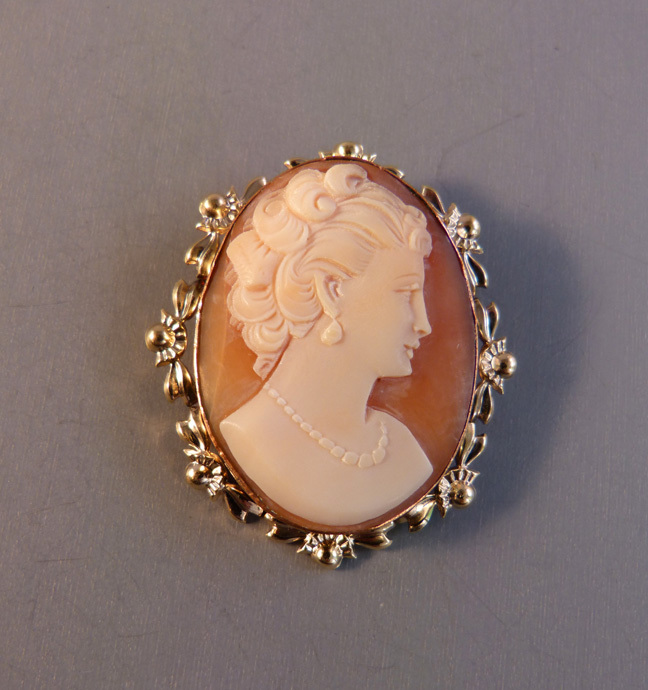 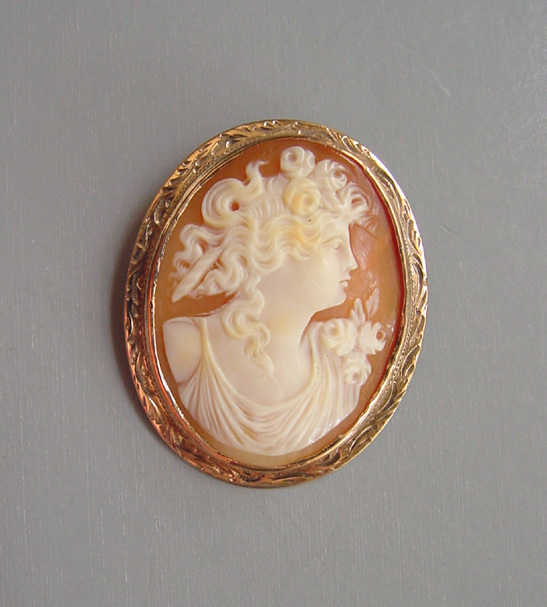 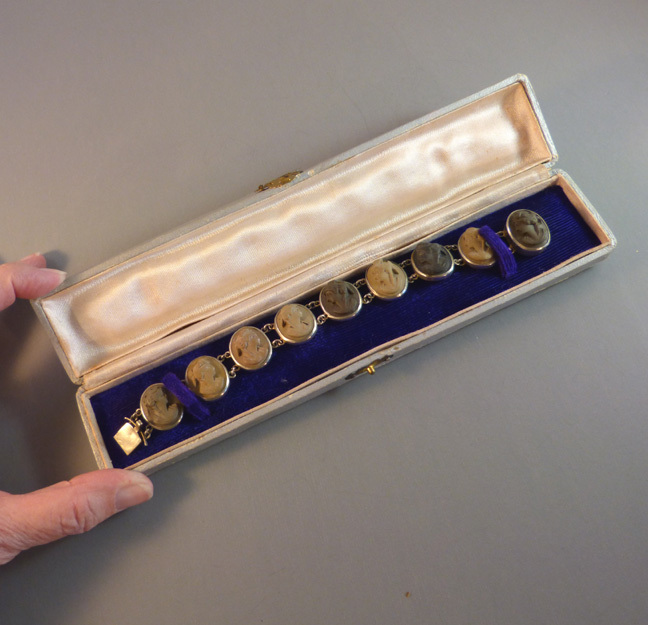 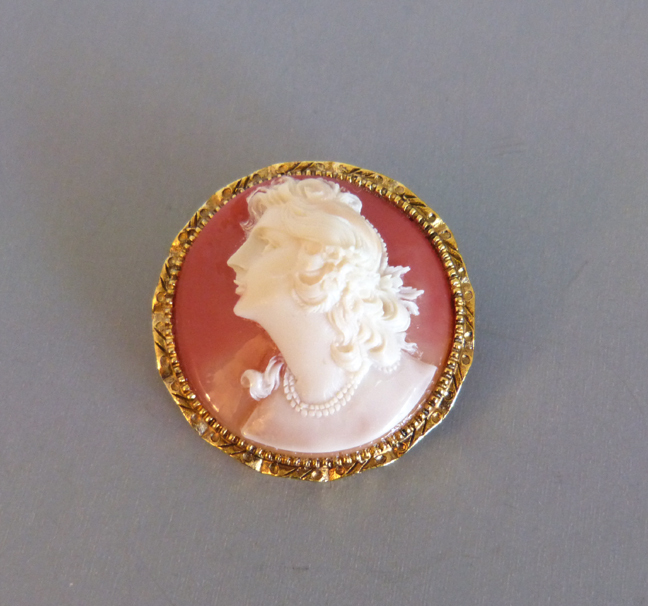 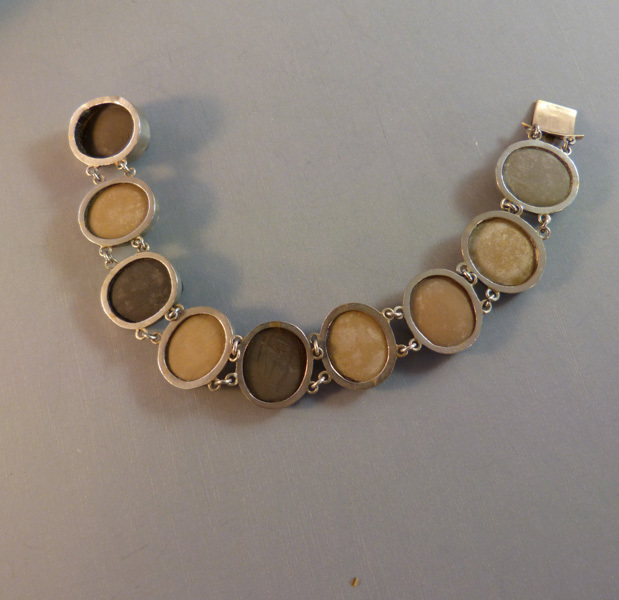 The cameos are all a bit different shade of tan, which is lovely, and the bracelet fittings are silver. 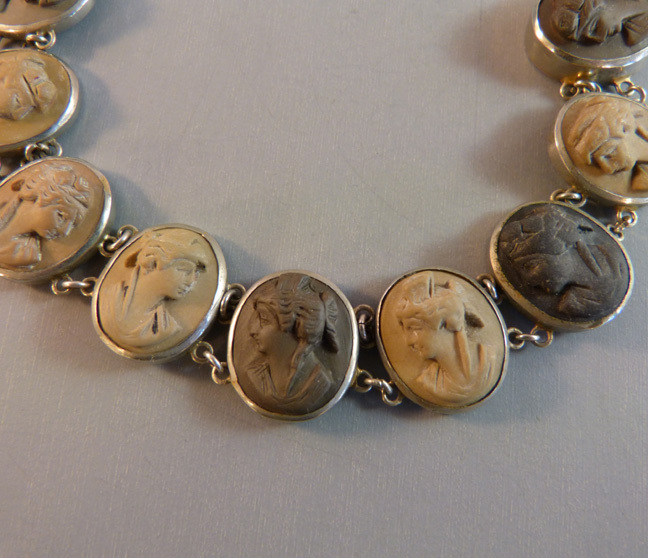 The cameo faces all face to the center. 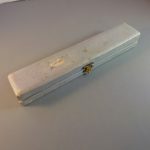 It is 7" by 3/4" and comes with it's own box, as shown. 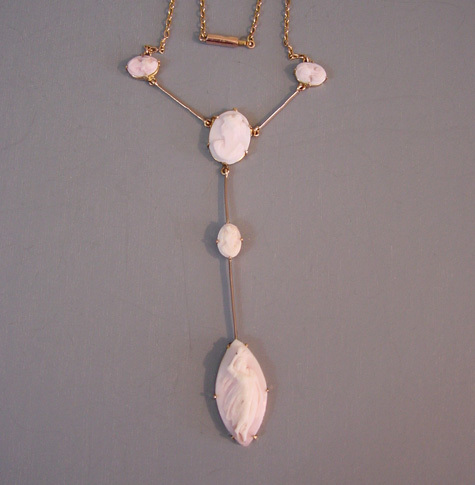 This bracelet is in very good vintage condition as you can see from the photos.